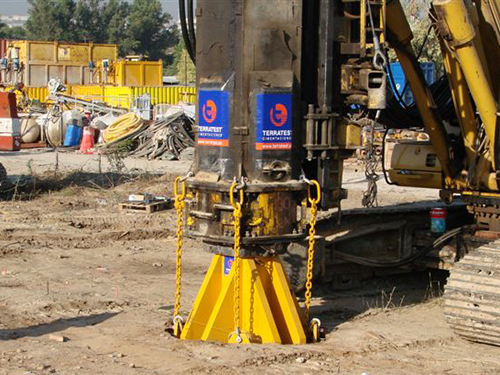 The Rapid Impact Compaction was originally developed in the early 1990’s by B.S.P. in conjunction with the British Military as a means of quickly repairing damaged aircraft runways. Dynamic energy is imparted by a 9 ton weight dropping from a controlled height onto a patented foot. Energy is transferred to the ground safely and efficiently as the RIC’s foot remains in contact with the ground. No flying debris is ejected. RIC densifies loose fill soils up to 20 feet deep or more. The benefit from the rapid compaction is it increases the bearing capacity of the soil, minimizes settlement and provides uniform support for a floor slab or foundation footing, while controlling vibrations to 2 inches per second within 30 feet of the drop point. 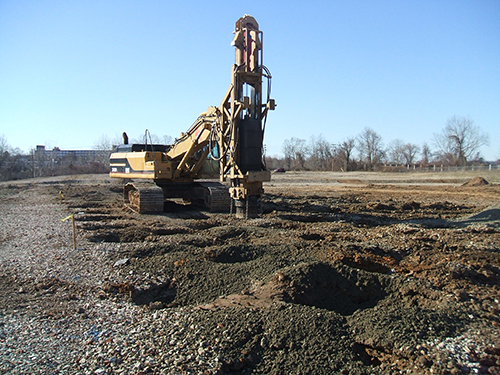 RIC is a great alternative when compared to the time and cost of over-excavation and re-compaction. 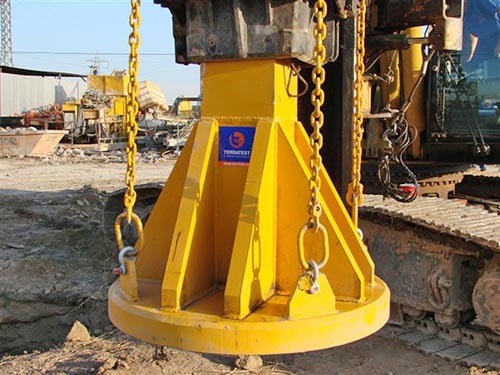 The energy transmitted by the foot is regulated by the weight of the mace, the number of impacts and the number of passes, which can vary between 200 and 300 m · t / m2, while in the standard dynamic compaction it is between 100 and 300 m · t / m2. Execution production rates are also usually higher with this system, ranging between 500 and 800 m2 / day. 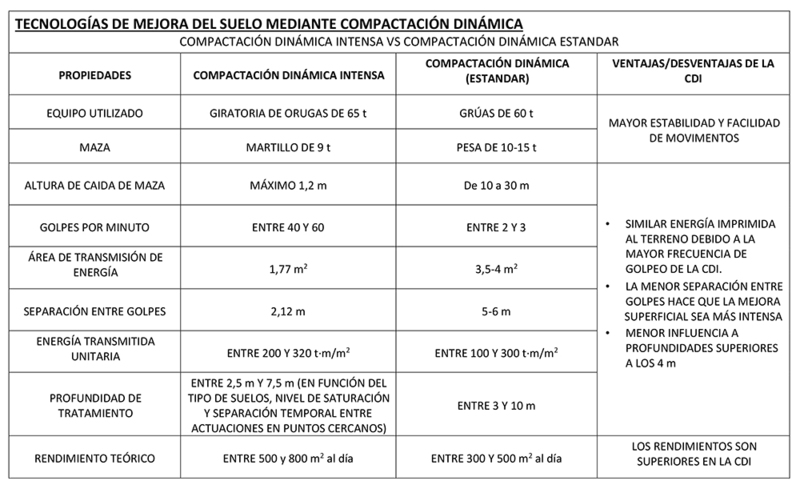 The maximum depth of treatment is between 2.5 and 7 m, depending on the type of soil, level of saturation in water and temporary separation between actions at nearby points. 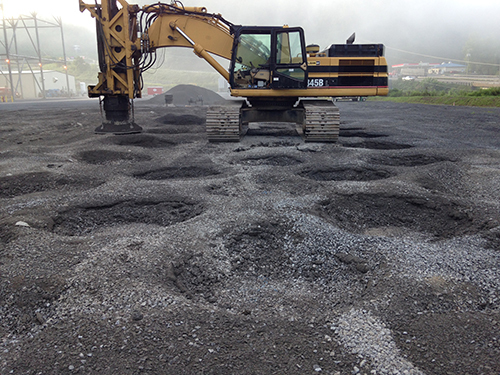 In cohesive soils, the addition of gravel is necessary for the improvement of the treatment. The surface of the mesh, the sequences of the passes and the spacing, must be determined previously at the beginning of the works, since it depends on the type of soil, the depth of the material to be compacted and the location of the water table.